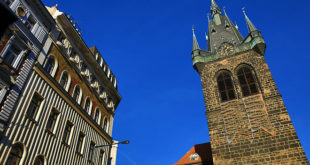 At the top of Malostranské Square, in front of the Church of St Nicholas, is situated the beautiful monument of The Trinity Column. 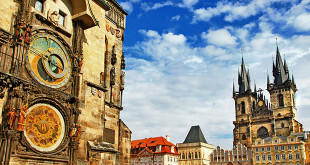 The column was built in 1715 to commemorate the terrible plague which hit Prague in 1713-14, and was made by sculptor František Herstorfer according to a design by Giovanni Batista Alliprandi. 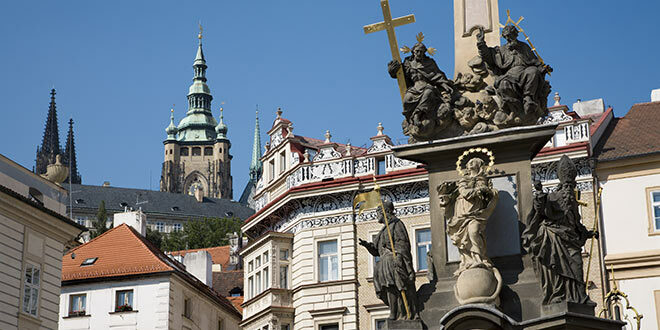 The column is 20m high and decorated with a statue of the Holy Trinity and the Czech patron saints. Three fountains around the column symbolise the sources of life, mercy and salvation.